This must be one of the most idyllically situated monuments in Pembrokeshire, overlooking, as it does, the rocky coastline above St. Non's Bay. 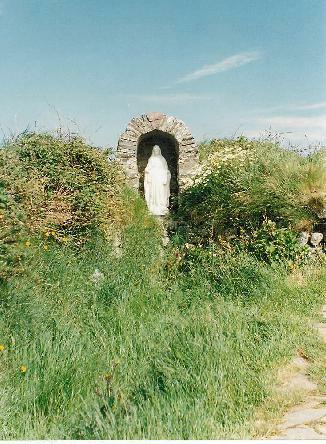 A visit to the chapel ruins can be extended to a longer walk on to and along the coastal footpath west as far as the Merryvale road, which leads back to St. Davids. The ruins lack any distinguishing features to help date the building, and the earliest reference to a chapel here is in a document of 1335. However, an early excavation reports the uncovering of 'stone coffins' which might in fact have been slab-lined graves of the early Christian period. Also the presence here of the pillar-stone with its incised Latin cross, roughly dateable to the 7th to 9th century, is suggestive of an early medieval foundation for the chapel, although unfortunately, there is no firm evidence that the stone originally came from the site. The chapel is a simple rectangular building, with an entrance of the west. The north-south orientation of the building is unusual, and is probably best explained by the foundations having been laid out to suit the severe slope. The massive masonry on the southern, downhill end was presumably put down as part of a foundation platform, to help level the site. The position of the alter is marked by a step at the north end. The chapel is traditionally held to mark the place where St Non gave birth to St David. 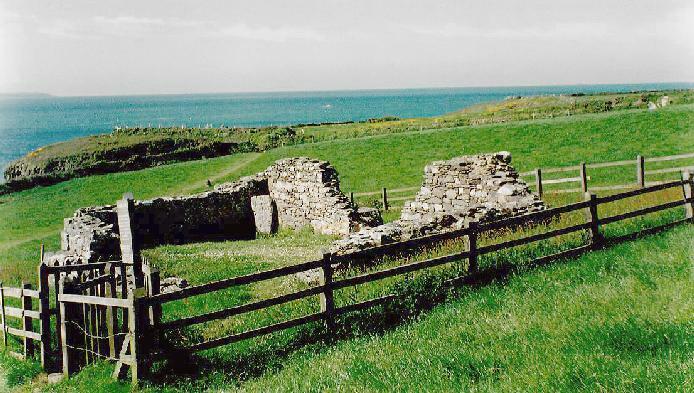 The chapel was one of the more important sea-shore chapels in the area; two pilgrimages to St Davids were held in the medieval period to equal one to Rome, and pilgrims to the chapel gave money 'by the wishful', which was taken to the cathedral. After the Reformation, pilgrims came to St Davids in fewer numbers, and St Non's chapel passed out of religious use. It was converted into a dwelling house, and later into a vegetable garden. 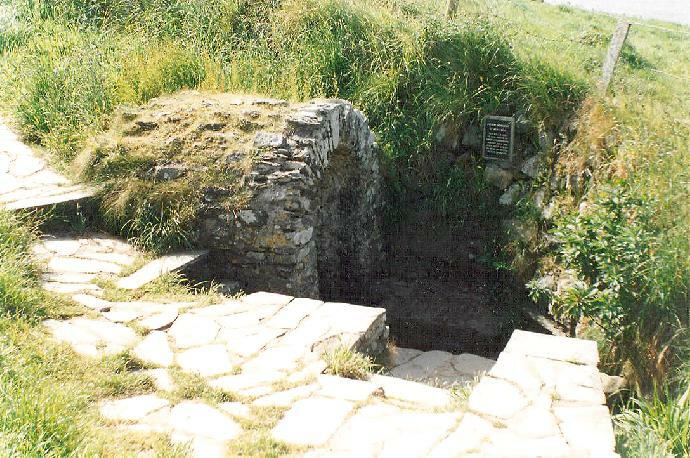 The Holy well, just to the east of the chapel, continued to be a famous place for healing even after the Reformation, and there are antiquarian references to the pious offering pins and pebbles at the well on 2 March, St Non's Day. In the 18th century, the present stone vault was built over it, though this may have replaced an earlier well building.